Smart had to be restrained by multiple people after exchanging words with DeAndre Bembry. 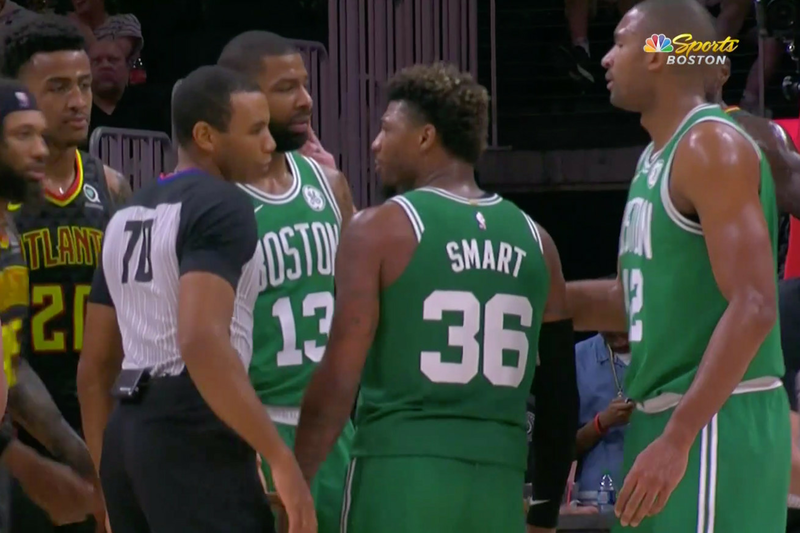 Marcus Smart was ejected after he feuded with DeAndre Bembry during a jump ball in the third quarter of Saturday night’s game between the Hawks and Celtics. The fight started with words and escalated to a point where Smart went into Bulldozer Mode and tried to barrel through coaches, teammates and refs to get to Bembry. It even caused someone in a suit to fall to the floor. Kyrie Irving, the team’s new leader, didn’t seem pleased with Smart afterwards. It was Smart’s second technical of the night and he was going to be ejected anyway, so he really went for it. Getting in on-court scraps is nothing new for Smart, but this one is memorable. It took a dang fleet to stop him.